McCabe's Guitar Shop – The largest selection of stringed things to make music with in California. The largest selection of stringed things to make music with in California. And free coffee for all. We have rentals for the cautious, lessons for the eager, truth-telling for the fearful, repairs for the clumsy, concerts for the devoted, and free coffee for all. McCabe's® is a musical instrument store and concert venue in Santa Monica, opened in 1958. 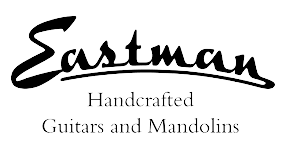 We specialize in acoustic and folk instruments: guitars, ukuleles, banjos, mandolins, dulcimers (both hammered and plucked), fiddles, bouzoukis, sitars, ouds, ethnic percussion... you get the idea. 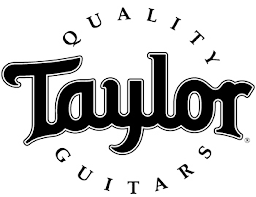 We also carry electric guitars, basses, and amps. Come by if you're in the area — browsers and itinerant musicians welcome. And if you can't come see us in person, check out our online store (open 24 hours!) where you'll find concert tickets, group classes, our world-famous* t-shirts, and a small sampling of our many, many instruments and accessories (with more being added all the time). When you buy a guitar from McCabe’s (or a banjo, uke, mandolin, etc.) you get a lot more than just a receipt and a “have a nice day.” In addition to the assistance of our friendly and knowledgeable sales staff, you also get our in-house, 3-year warranty on almost every instrument we sell. That includes set-ups and adjustments, and anything else that the instrument might do to itself (i.e. not broken strings). We also offer rentals and lay-away plans, and a 3-year 70% trade-up option for when you’re ready to step up to the next level. Browse through some of our stock online, or, better yet, drop by the shop. It’s a nice, comfortable place to visit and try things out. Got a crack in your axe? If your guitar (or uke, dulcimer, etc.) has suffered an injury, if it’s buzzing, or hard to play, or even if it won’t make any sound at all, we can probably help. 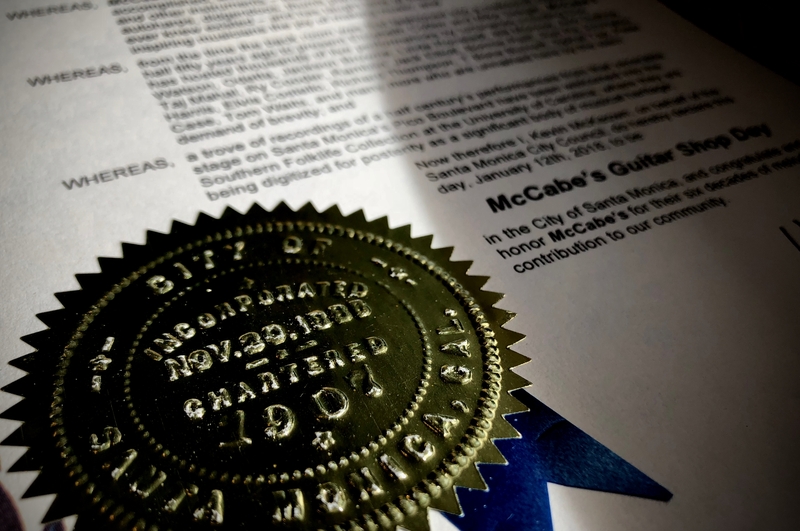 McCabe’s has a team of veteran luthiers who know what they’re doing. Restrings, new gears, pickup installation, troubleshooting – “No job too weird or too small” is what our repair shop motto would be, if we had a repair shop motto. And there is never a charge for estimates or advice. Here at McCabe’s, we’ve taught tens of thousands of aspiring (and many already aspired) musicians how to play, and we can teach you, too! For private lessons, see our list of incomparable instructors, each of whom you can contact directly for scheduling or info. If you’re feeling more social, or you just want more bang for your buck, have look at the group classes we’re currently offering. And if you don’t find the class you’re looking for, suggest it, and we’ll see what we can do. McCabe’s is here to help! Did you miss the 2008 KCRW McCabe's 50th Anniversary three hour award-winning special? Listen to it at your leisure here!